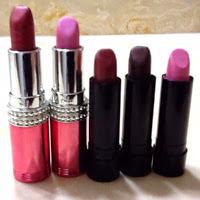 Being allergic to the ingredients found in 90% of the lipstick products, a Youtube uploader shares how she made 100% natural home made lipstick. Very interesting as this is an alternative which is suitable and compatible with your own lip. The uploader mentioned that it is a kind of lip treatment based on the ingredient that she used for the lipstick. You can make your own too! Live your live in style. Look for & get your awesome garments at GetGarments.